Do You Feel Immense Financial Pressure? Are you in need of a Fresh Start? Do you need a Bankruptcy Chapter 7 attorney today? Most people view bankruptcy, chapter 7 as a negative event, however the process can provide you with a chance at a fresh start and put an end to your financial struggles. The Law Offices of Chris Alan Doty, we offer our clients the compassionate, personalized legal guidance you deserve. We fully understand just how important your financial and personal assets are to you and your family’s well-being. Protecting your financial interest’s is difficult without an experienced Chapter 7 Bankruptcy Attorney, we have been assisting people like yourself for over a decade in Ocala Florida and surrounding Central Florida areas. The process is not as overwhelming as it may initially seem, and there are ways to retain possession of certain property items. Take a step towards securing a positive financial future and contact us today to learn whether or how bankruptcy could be right for you. 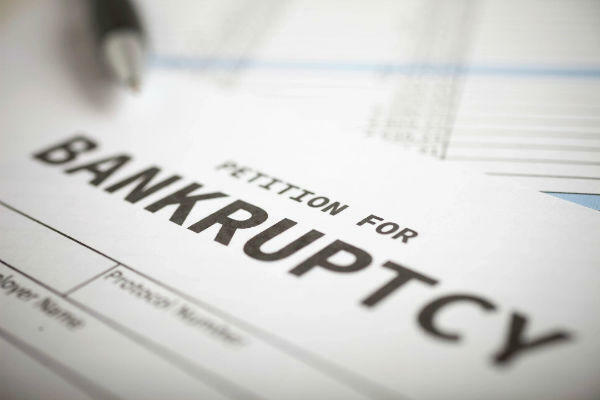 How does chapter 7 bankruptcy proceedings work? Many bankruptcy’s in the United States and Florida are brought under Chapter 7. Unlike Chapter 13 bankruptcies, a Chapter 7 does not involve any type of repayment plan. A Chapter 7 does not involve a reorganization or continuation of a business. The majority of Chapter 7 fillings are completed with-in 3 months of the filling date. If you have a minimal amount of disposable income after paying your monthly expenses, there is a good chance you are eligible to file Chapter 7 bankruptcy. What Should I ask a Chapter 7 Attorney? Some of the first questions for a Chapter 7 bankruptcy lawyer is what assets they can be protected, and which types of debt can be forgiven. In general, credit card, medical bills, certain loans, and foreclosures of homes can be forgiven. Some debts are not forgiven, including student loans, and alimony and child support obligations. Court penalties and fines are also excluded. There are also certain exemptions and methods to protect a family home or vehicle. Although you may be required to agree to any existing financing terms, such as a car loan. Or in the case of a home, you will need to be current on your mortgage or enter into a modified agreement with your mortgage provider. A successful bankruptcy proceeding will remain on your credit report for 10 years, but in 18 months, you can begin to establish a strong credit rating. In fact, many people have had greater success fixing their credit through bankruptcy and by starting over fresh as opposed to working on their credit outside of bankruptcy. Why should you consult with Chris Allan Doty, P.A. a dedicated Chapter 7 Bankruptcy Attorney? We pride ourselves in looking after the needs of ordinary people in Central Florida who work hard and deserve a second chance and fresh start. Hiring a professional and well-prepared lawyer is a crucial decision on the outcome of your future. I have studied Bankruptcy law extensively and have exceeded my client’s expectations on all levels. I offer personalized service and have made it my mission to “FIGHT 4 FAMILIES” throughout Ocala and surrounding areas. As a former United States Marine, it is my honor to continue to serve and protect your rights.